A beaded amber necklace, with individual knots between the pearls to keep them safe and a clip fastening. Colour: Cognac. 1 year guarantee and presented with an authenticity certificate. 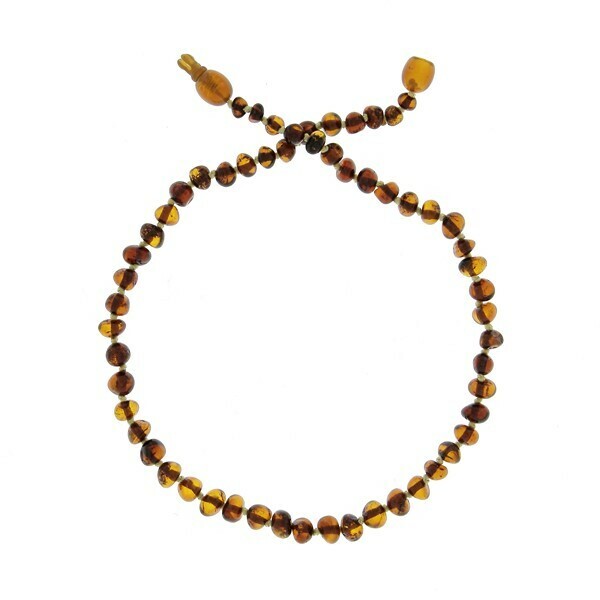 Children's Cognac Amber Beaded Necklace.